Whether you're in need of IT consulting services or you're looking to embrace the benefits of managed IT support services with open arms, the large and experienced staff at Frontier Solutions, Inc. will proudly stand by your side every step of the way. How many times have you found yourself saying some variation of the following? My current IT support solution is starting to overwhelm me. I've reached a breaking point where I want help, but I have no idea who I can turn to. I know that I need to do something to protect my business from cyber threats and other disasters. But where does someone even begin? I feel like I'm missing out by not being able to utilize today's modern technology, but there are so many options I'm just not sure which one is best for me. These are very real concerns facing the modern business owner, yes. But thankfully, what they're not your problems - at least not anymore, thanks to the unique approach to IT consulting and managed IT support services that only Frontier Solutions can bring to your organization and everything you've already worked so hard to build. 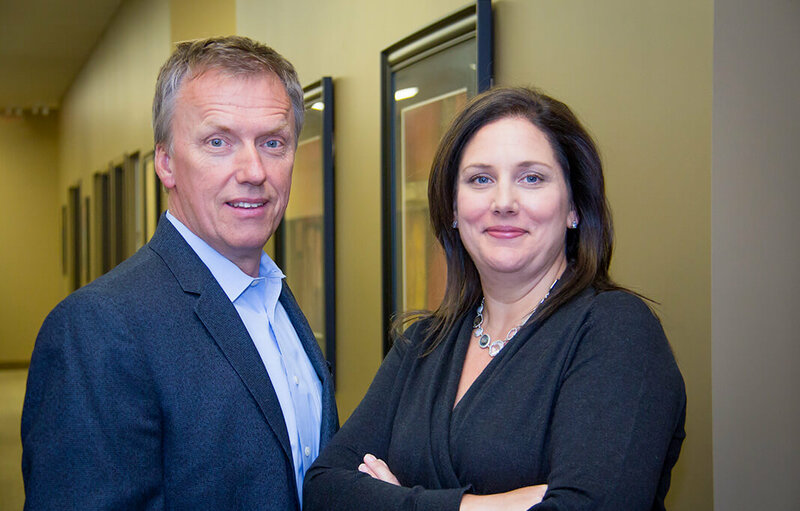 Since 1995, Frontier Solutions has been committed to not only managed IT support services and IT consulting - but to providing our personalized, intimate and tech-savvy services to businesses all across Calgary. 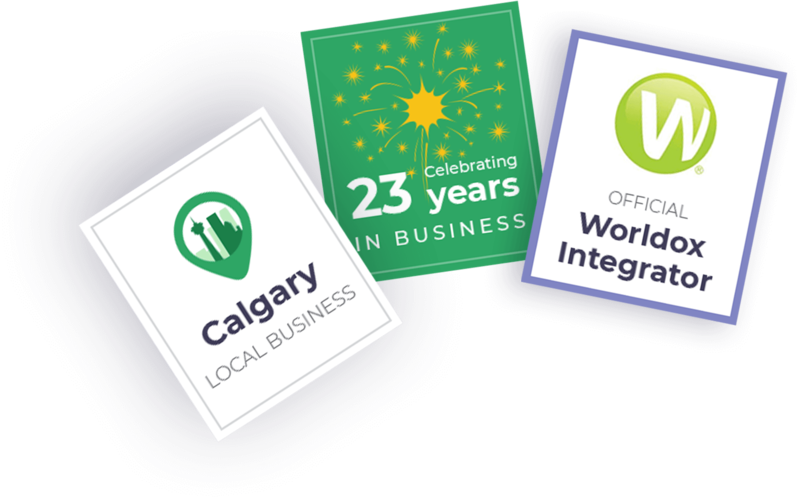 We're committed to the Calgary business community - after all, we're local business owners ourselves. But more than anything else, our focus is on building strong client relationships, all while maintaining our exceptional reputation in customer service and beyond. Whether you're a small business with 10 employees or 200, we make it easy and cost effective to have your very own IT department. We regularly assist clients in the legal profession, in financial services and any other industry where technology can affect your bottom line. Regardless of what it is that you're looking for out of IT consulting and managed IT support services, congratulations - you've just found it. 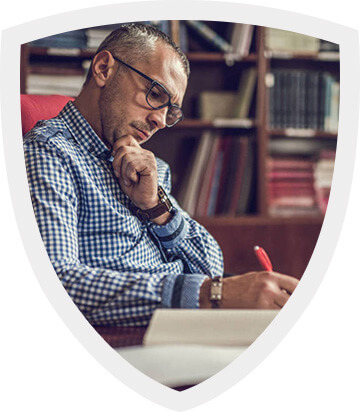 Whether you're talking about solutions aimed to address your cyber security concerns, ones that let you take full advantage of the cloud or the type of software you need to remain competitive in your industry, our local team of technicians – some of whom who have been with us over 19 years – are here for you. More than anything, we want to make it easy for you to do more than just manage your clients - we want to help grow your business in the way you'd always dreamed of. Let us manage your technology, and take it completely off your plate, so that you can get back to running your business. Are you ready to move to an IT support company that's going to have your best interests in mind? "The best result about working with Frontier Solutions is that I never think about our IT systems. They take care of our annual IT plan, keep me informed when I need to be, are responsive and supportive to our staff and keep us in the latest technology. Most importantly I have comfort that our client data is secure." We take on the role of the dedicated IT department for your Calgary business. We're not going to promise you the world and then disappear into the darkness. We've been around since 1995 and we're not going anywhere. We're real people who actually live, work and play in Calgary and we want to do what's best for the community that has already given us so much over the years. In terms of technology, such a thing does not exist. We want to come up with the totally unique, perfect IT strategy to meet YOUR needs and not anybody else's. 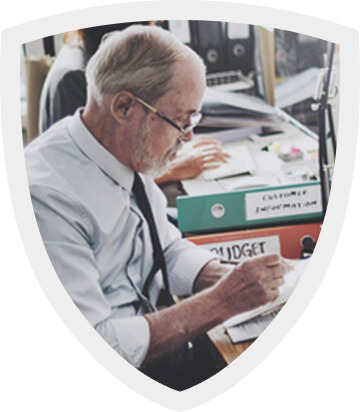 Over the years, we've built up a strong client base and in-depth knowledge in both the legal (we're Western Canada's only official Worldox Integrator) and accounting fields, but if your business falls outside of those industries, that doesn't mean we can't help you. If the right use of technology can help your business succeed, than we can and will do whatever it takes to make that happen. Opportunities Are Limited - Please Don't Delay! Because we make an effort to take such a partnership-driven approach to all of our clients, it unfortunately means that we can't work with everyone who contacts us. There simply aren't enough hours in the day to make that a reality, so we work on a "First Come, First Serve" basis. 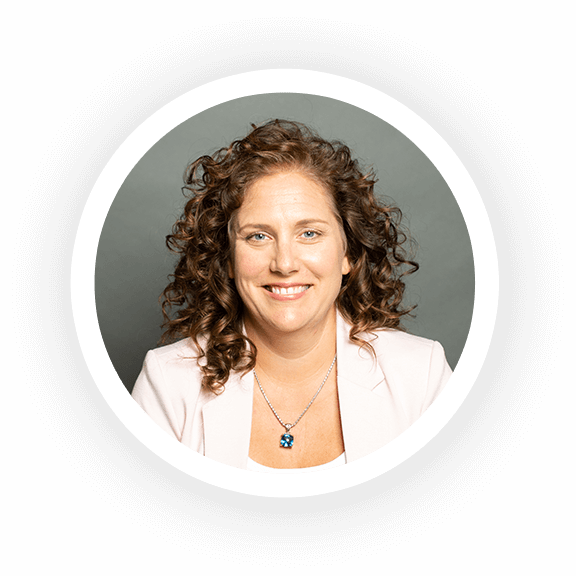 If you'd like to find out more information about everything that Frontier Solutions can do for you, don't delay - schedule your 15 minute conversation with our lead IT strategist, Chantale Benoit. Everything you need - from the cloud-based solution that will store your data and protect it to increase productivity to the industry-specific software you need to thrive, is finally available and at your fingertips. 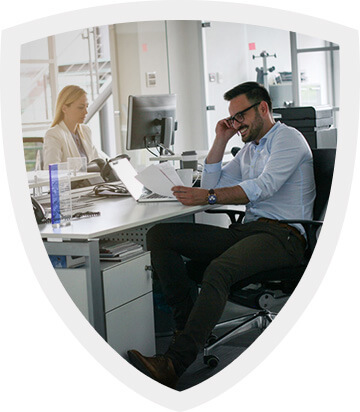 Get all of the right processes and procedures in place so that you don't have to worry about cyber attacks ever again. We'll help make sure that your technology strategy is always aligned with your larger strategy as a business, guaranteeing that the growth and ultimate success you need is a forgone conclusion. What if I only actually need Frontier Solutions for a small job? Our goal is to help your Calgary business in any way that we can. If that takes the form of a "small job," then so be it - we listen to what you need and we provide the best solution available. It doesn't have to be any more complicated than that. When will I be submitting too many support tickets, or getting to the point where I'm bothering you, if I'm on managed IT Services? Honestly? Never. We're here to help you. If there's a step we can take to help you run smoother, or to fix an issue before it becomes a serious problem, we're going to take it. End of story. Never feel guilty about contacting us. 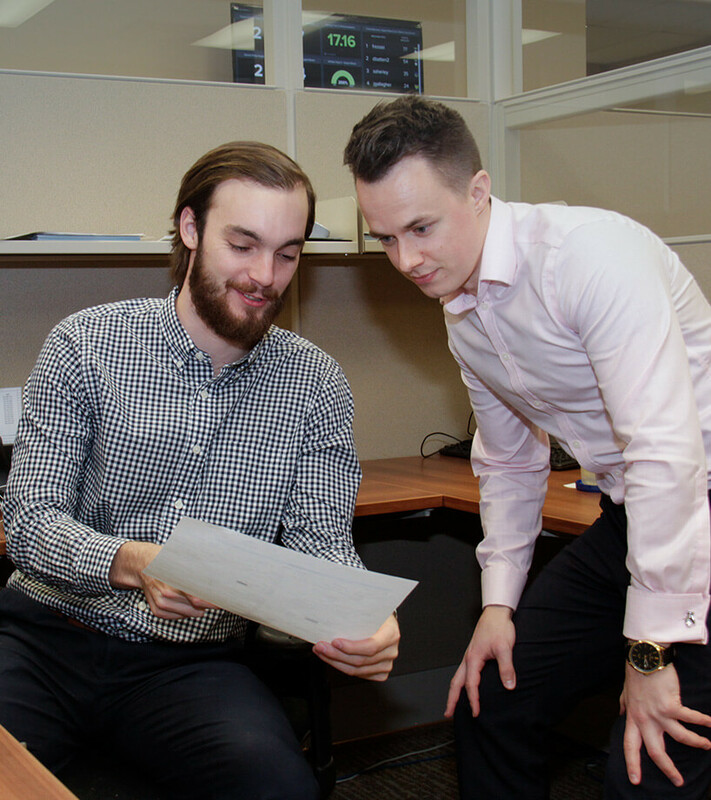 Our IT support team has been proudly serving businesses in Calgary and the surrounding areas since all the way back in 1995. Every day, we work hard to provide only the best in service, hardware and software solutions for all of our clients. Above all else, we want to show you how simple it can be to build the technological infrastructure you need in the modern era. Our straightforward approach and totally transparent pricing make it delightfully easy to have your very own IT department - and we're going to show you how. Does what we offer sound like what you need? Terrific - let's chat. Even if you just want to ask a quick question, never forget - that's literally what we're here for. 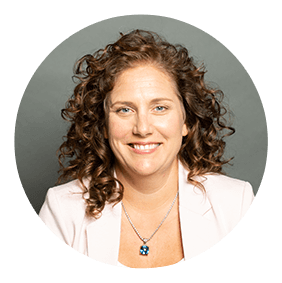 Schedule your 15 minute conversation with our lead IT strategist, Chantale Benoit, today.